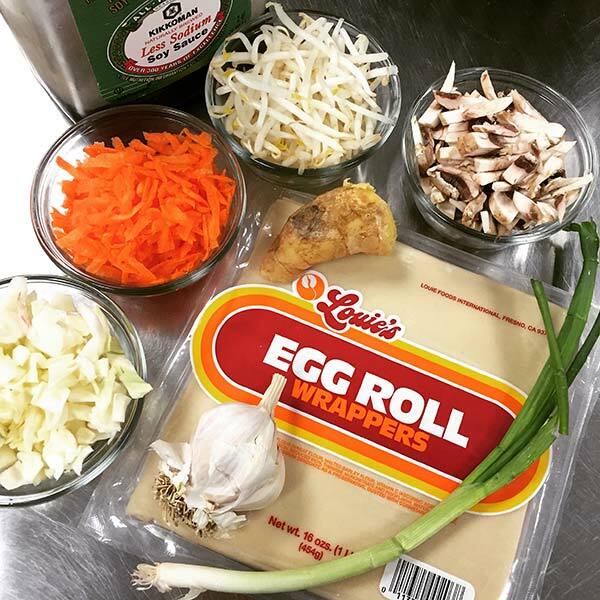 Chef Shayna from the Young Chef's Academy shows us how to make some delicious and nutritious veggie spring rolls. Heat the vegetable oil in a wok over high heat and add the green onions, ginger, and garlic. Stir until fragrant. Add the cabbage, bean sprouts, and carrots to the pan and saute. until the cabbage begins to wilt. Stir in the mushrooms and stir fry for a minute. Combine the soy sauce and sesame oil in a small bowl or cup and mix together until uniform. Pour the liquid mixture into the vegetables and stir together until the vegetables are evenly coated. Turn off the heat and drain off any excess liquid from the vegetable filling. Place an egg roll wrapper on your work surface with one corner pointing at you. Place 1-2 tablespoons of filling into a 2 inch rectangle just below the horizontal diagonal line that connects the right and left corners. 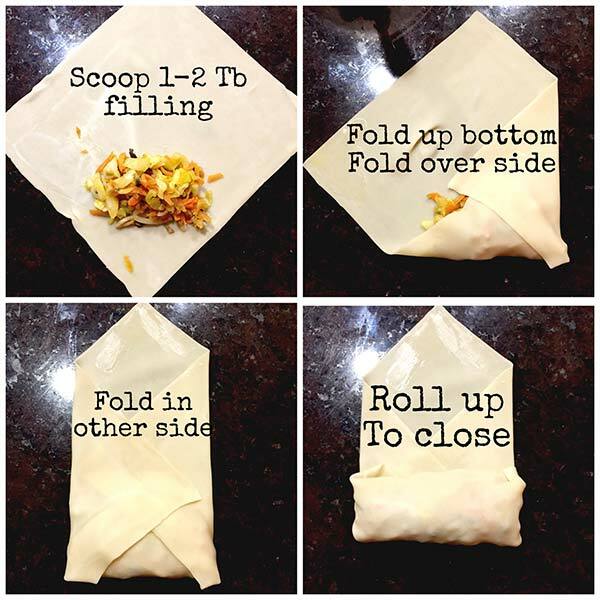 Take the corner nearest you and fold it over the filling, rolling it away from you so that the filling is completely encased in wrapper. Fold the right and left corners in toward the center, keeping it snug, but not so tight that the wrapper breaks, and continue rolling until you have 2-inches of the last corner left. Dip your finger or a brush into the egg and paint the edges of the last corner, then quickly roll up the egg roll. 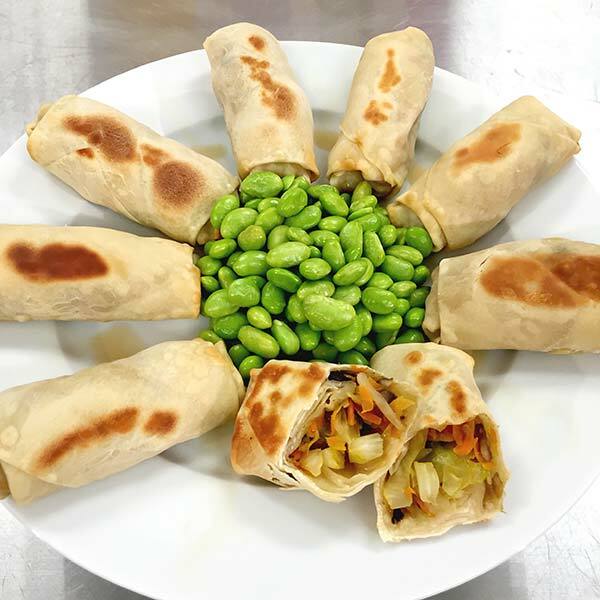 Line a baking sheet with parchment arrange the egg rolls on the sheet leaving a little room between each one. Brush the tops of each egg roll with a little oil. Bake for 10 minutes, then flip the egg rolls over and bake another 5- 10 minutes. Remove from oven and serve with dipping sauce.